Following consultations with the Executive Board of the UN Children’s Fund (UNICEF), Secretary-General António Guterres has announced on Friday the appointment of Henrietta Fore of the U.S. as the Fund’s new Executive Director. Guterres, in a statement by his Spokesperson, Stephane Dujarric, said Fore would succeed Anthony Lake. Dujarric said the Secretary-General was grateful to Lake for his commitment and dedicated service to UNICEF. “Lake brought a renewed focus on equity throughout UNICEF’s programmes and services for children. “In achieving results for every child, his leadership has strengthened UNICEF’s reputation and credibility as an organisation. He said Fore had worked to champion economic development, education and health, humanitarian assistance and disaster relief for the most vulnerable in the international and developing world. Dujarric said the incoming UNICEF chief had worked in a public service, private sector and non-profit leadership career that spans more than four decades. Fore was the first woman to be appointed as the Administrator of the U.S. Agency for International Development (USAID) and the Director of U.S. Foreign Assistance in the U.S. Department of State. 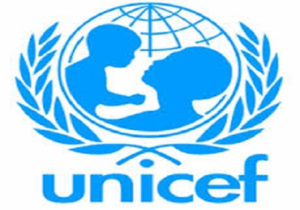 The post UN chief names American Henrietta Fore as UNICEF’s Executive Director appeared first on Vanguard News.